client was looking for a new architect experienced in low energy design. 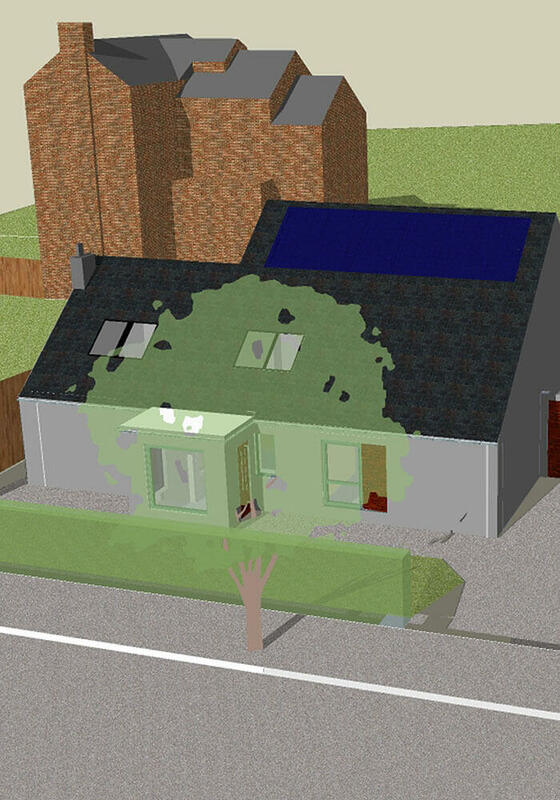 A new planning application for an additional bedroom in the roof was submitted and planning permission was obtained (despite being refused previously) along with the proposals for overcladding with insulated render, new insulated roof coverings and photovoltaic panels. 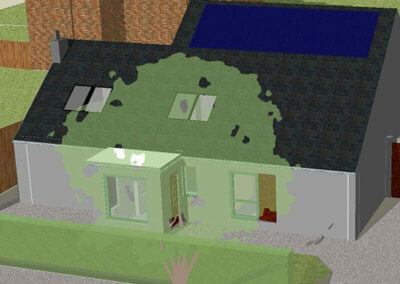 The dwelling is situated in a Conservation Area therefore detailed discussions with the Conservation Officer were required concerning material selections. 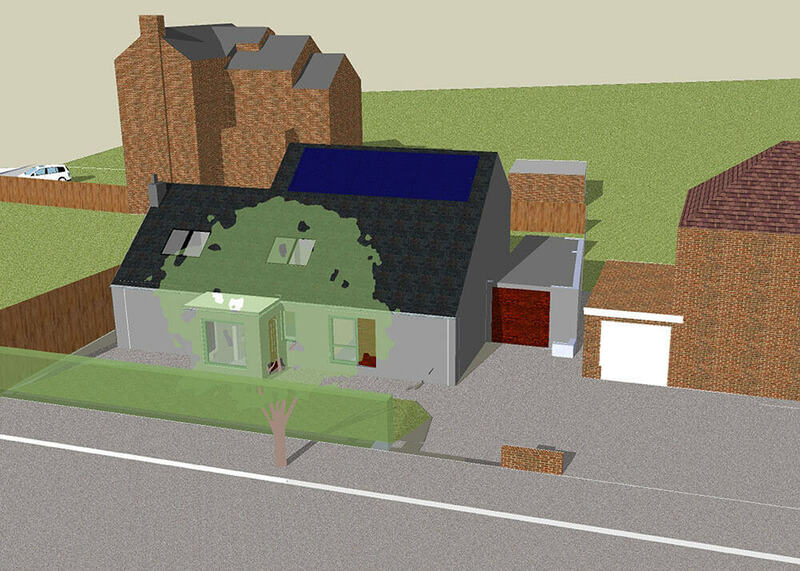 The dwelling was modelled using the Passiv Haus Planning Package software and details were developed to upgrade the dwelling to achieve the insulation values and airtightness required for EnerPHit standard.